It is related of the Rev. Mr. Cecil, in his life, that he had a great passion for music and facility of execution on the violin. But he found that his delight in it led him to devote too much time to the amusement. Perceiving this, he one day cut the strings of his violin across, and never touched it again. Know what God is about, especially in respect of your calling, and keep within it. Most people crack up because they try to do what God never intended them to do. They destroy themselves by sinful ambition, just as much as the drunkard and drug addict. Ambition drives them on. It is good to have spiritual heroes we emulate. But idolizing men is a different thing altogether. It is a subtle trap to be avoided. 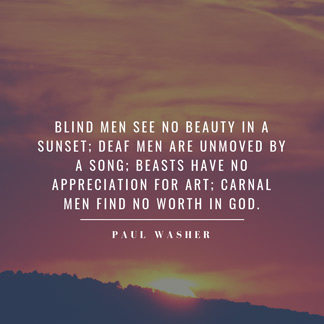 Scripture says, “Stop regarding man, in whose nostrils is breath, for of what account is he?” (Isaiah 2:22) We are to appreciate, honor, and respect God’s men, but never idolize or view them as perfect. 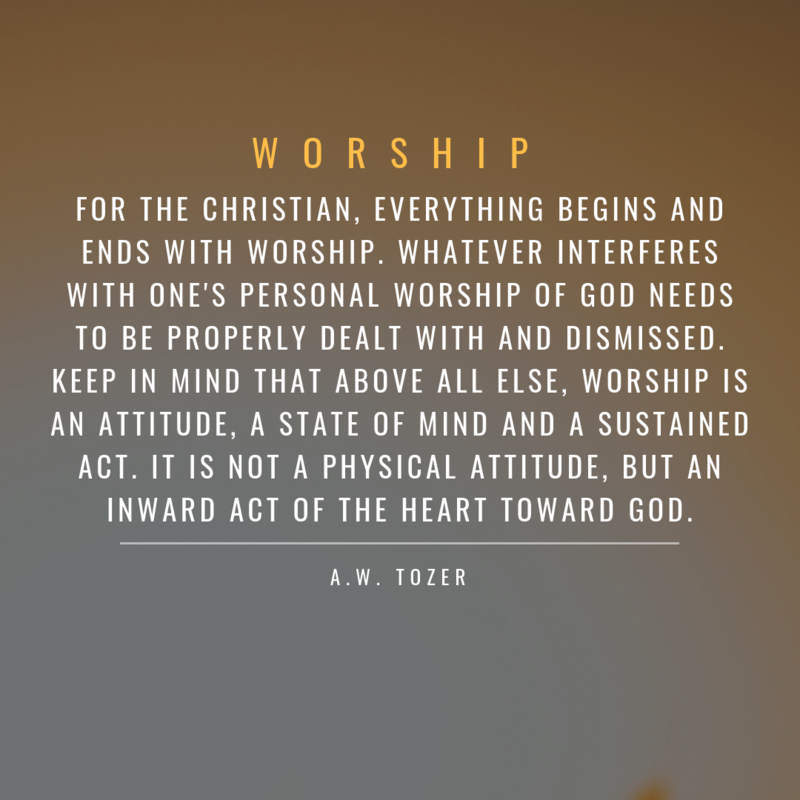 For the Christian, everything begins and ends with worship. Whatever interferes with one’s personal worship of God needs to be properly dealt with and dismissed. 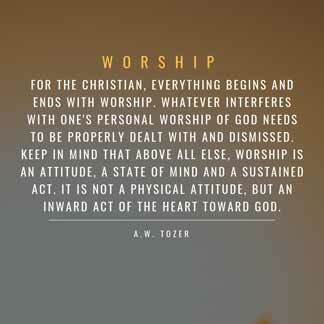 Keep in mind that above all else, worship is an attitude, a state of mind and a sustained act. It is not a physical attitude, but an inward act of the heart toward God. Ministers, in order to be burning and shining lights, should walk closely with God, and keep near to Christ; that they may ever be enlightened and enkindled by Him. And they should be much in seeking God, and conversing with Him by prayer, who is the fountain of light and love. The pride of preachers of the Word, in wanting a name for themselves alive and after their death, is the cause of attracting men to themselves, rather than to the Lord of the harvest. Men are so prone to make idols of one another… and ordinary people, when they hear a good orator, and have but a little taste of his doctrine, are ready to set him up as a Herod of old, in the place of God; then his heart is so taken with this promotion, and with the people’s allegiance, that he begins to boast of, and flaunt this new name which he wishes to perpetuate, and which others readily ascribe to him. This new sect both he and they conclude is better than all those old sleepy sects whose names are rusted. There are two lighthouses on the southernmost tip, Cape Point—the first was built too high so that its light shone above the ships and failed to guide; the second was built much lower and has proved a safer guide. The point should be lost on preachers. It is never helpful to preach over people’s heads. I think sometimes that she is all alone at Plymouth. There is a Friend, whose friendship, if she would secure it, would never leave her alone. Without His friendship she will soon be worse than alone. O the pleasure which a lively Christian must enjoy in communion with God! It is all one, whether he is in a city or a desert, among relations or among savage foes, in the heat of the Indies or in the ice of Greenland; his infinite Friend is always at hand. He need not fear want, or sickness, or pain, for his best Friend does all things well. He need not fear death, though it come in the most shocking form; for death is only a withdrawing of the veil which conceals his dearest Friend. Somebody came to Moody one time and said, “I have a complaint Mr. Moody, my congregation is too small.” And Moody said, “Well, maybe they are as large as you would like to give an account for on the day of judgment.” That’s really a good answer. I’ve often thought about that, I’m going to give an account to God for the people that He gave me and how I exercise that stewardship. From that perspective I don’t need more of them, I would be better off if I had less of them. Jesus Christ is without parallel. Neither all the men upon earth nor all the shinning myriads of glorified angels in heaven can, in any degree, equal Him who is the great Messiah, the God-man. If you have anything to be proud of, remember what it is and that it is not your own, but has been given or lent to you by God, who especially hates pride. Richard Baxter , Baxter’s Practical Works, vol. 1, 111-112. Love for the brethren is a distinguishing mark of Christianity (1 John 4:7-8). Anyone, regardless of their theological correctness, who is loveless, motivated by a critical spirit, & merciless in their argumentation, should be concerned as to whether or not they are truly converted. 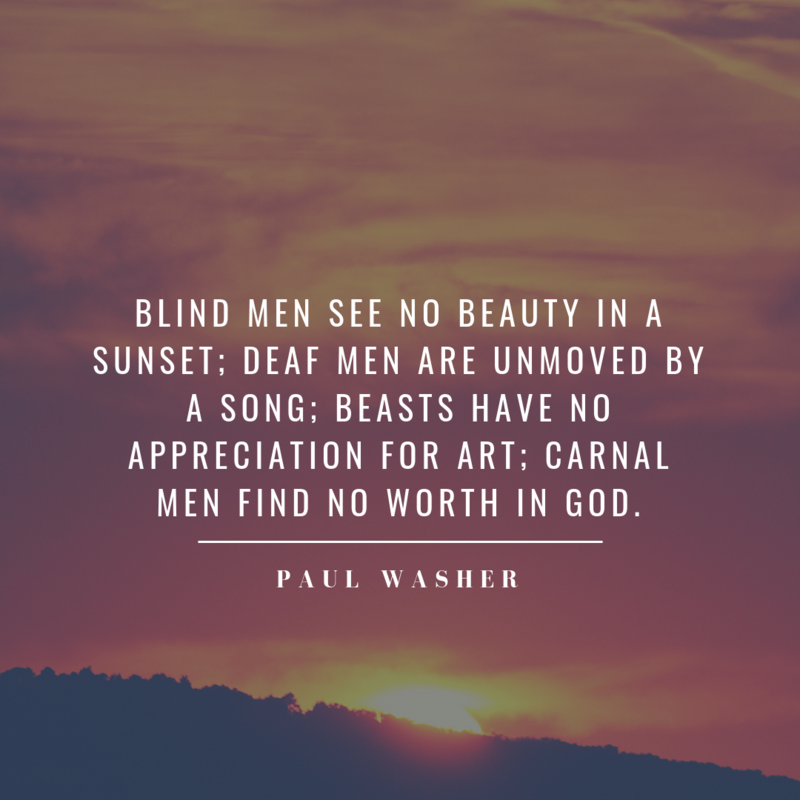 Blind men see no beauty in a sunset; deaf men are unmoved by a song; beasts have no appreciation for art; carnal men find no worth in God.